Are you seeking inspiration and encouragement for a new type of leadership? Would you like support and guidance for leading in a more grounded, heart-centered way? If your answers are yes, then the Spirit may be calling you to Shalem’s Soul of Leadership Program. Soul of Leadership 2.0: Sustaining the Work – Join graduates of the Soul of Leadership Program for a time of renewal, re-grounding and re-tooling, May 5 to May 8, 2019. Click here for more details. Join a free conference call to discern with the director about the rightness of this program for you. Sign up for the call below. Space is limited. April 24, 2019 1pm ET. Shalem’s offerings now include The Soul of Leadership, a program that began in 2012 in Boston with Margaret Benefiel, Shalem’s Executive Director, and is designed for leaders from various sectors (businesses, non-profits, churches, etc.). The Soul of Leadership recognizes that leaders today face particularly difficult challenges. The commitment to inspire others while also increasing productivity and balancing the needs of the organization can leave leaders feeling depleted. Long hours and countless demands often result in a deep need for renewal. This 18-month program helps leaders integrate spiritual heart practices with leadership realities in order to more truly embody their vocational path. Through individual and communal activities, participants engage in a variety of contemplative practices, while learning strategies to address some of their most pressing leadership challenges. The Soul of Leadership includes four residencies, each featuring a different leadership focus, supplemented by reading, reflection and spiritual companionship. The four residencies are in the Greater Boston area. Fill out an application form here. The four residencies are in the Bay Area. Margaret, Director of Shalem’s Soul of Leadership, is Shalem’s Executive Director. Prior to coming to Shalem, she ran her own consulting, speaking, training, and coaching business, Executive Soul, helping leaders and organizations nurture their souls and express their deepest values institutionally. At the same time, she taught as adjunct faculty at Andover Newton Theological School in the area of contemplative leadership. Margaret is a Quaker and holds a B.A. in History from Princeton University, an M.A. in Mathematics from Portland State University, an M.A. in Theology from Earlham School of Religion, and a PhD in Spirituality from Catholic University of America. She has written extensively on various aspects of contemplative leadership and spirituality at work, including The Soul of a Leader: Finding Your Path to Fulfillment and Success and Soul at Work: Spiritual Leadership in Organizations. Susie is a graduate of Shalem’s Nurturing the Call: Spiritual Guidance Program and the Transforming Community: Leading Contemplative Prayer Groups & Retreats Program. She has been leading small groups and retreats for 15 years and has an active ministry of spiritual direction. She has a Master of Divinity from Andover Newton Theological School and offers soul care programs at The Virginia Thurston Healing Garden in Harvard, MA. Susan is a psychotherapist (LCSW) and an ordained minister of the Reformed Church in America. She has over 28 years of experience working in mental health, medical, and human service agencies as well as her own private counseling practice. She also currently serves as Minister of Small Groups and Discipleship at First Church in Albany, NY, where she facilitates groups both in churches and in the community. She developed and leads Pilgrim’s Walk, a small-group ministry of spiritual direction and support for those in the third stage of life (65 and older). Her professional training includes Psychosynthesis, The Soul of Leadership and Nonviolent Communication. Pat is a physician with 30 years experience leading quality and outcomes programs in health systems. After 15 years leading hospital quality programs, she transitioned to research and established a federally funded, national network to monitor and improve patient-centered outcomes in surgical care. She is a past participant of the Soul of Leadership and has many years of experience with centering prayer and other contemplative practices. Jan has been an ordained UCC pastor for over 25 years, serving congregations of diverse sizes and settings. She brings a wealth of experience as an organizational leader as well as a workshop and retreat leader. She received her Doctor of Ministry Degree from Drew School of Theology with a concentration in Worship, Spirituality and Preaching and is a graduate of Shalem’s Going Deeper: Clergy Spiritual Life and Leadership and Soul of Leadership Programs. Tony, who is on our Soul of Leadership Program staff, serves as the Director of the John Main Center for Meditation and Interreligious Dialogue and a Chaplain-in-Residence at Georgetown University. He is a trained spiritual director, mediator, and Enneagram facilitator who received his undergraduate degree from Yale University, his Masters in Divinity degree from the Washington Theological Union, and also holds certificates in Carmelite Studies (WTU) and Non-Profit Management (Northwestern University). Judy is an ordained minister in the United Church of Christ, currently serving a local church. With over 20 years of experience in small group ministry and training leaders, her work emphasizes contemplative practices that guide leadership. Judy is a retreat leader, coach and spiritual director. She holds a Master of Divinity from Andover Newton Theological School and a Juris Doctor Degree from George Washington University. She has completed a wide variety of professional training programs focused on contemplative leadership and the spiritual nature of organizations, including Shalem’s Transforming Community: Leading Contemplative Prayer Groups and Retreats Program. Eliza is a leadership and organizational development consultant who specializes in wellness and resilience. A CEO of Circles International, she holds an MPH from Harvard University and an MSW from Columbia University. She is a graduate of our Young Adult Life and Leadership Initiative and serves on the staff or our Soul of Leadership Program. 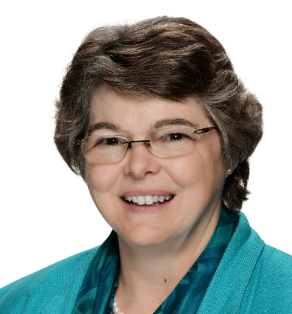 Lynne, past Executive Director of the 157 Group of FE Colleges, is an ordained interfaith minister, a trained spiritual coach and a Benedictine oblate. She has a doctorate in spiritual leadership in secular organizations, an MS in change agent skills and strategies, and was awarded the CBE for services in education. She has published a number of articles on leadership, emotional intelligence and spirituality in the workplace and has led spiritual retreats and developmental workshops for over 25 years. Cindy Warwick, Regulatory Operations Associate, Lantheus Medical Imaging, Inc.